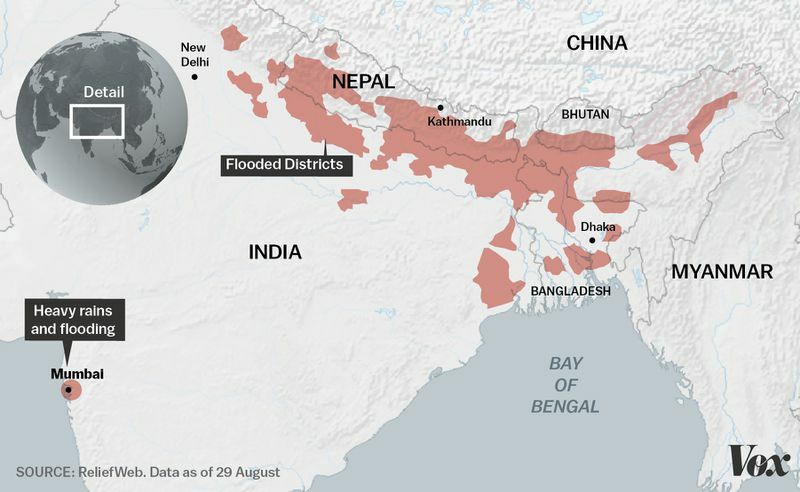 Two weeks of flooding have devastated communities across India, Nepal, and Bangladesh. 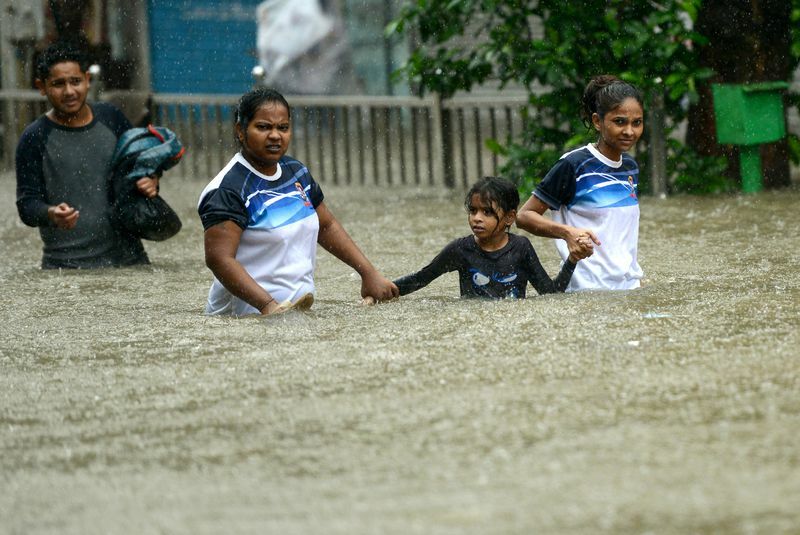 While all eyes have been on the devastation from Hurricane Harvey in Texas, catastrophic floods have also been wreaking havoc more than 8,000 miles away in South Asia. 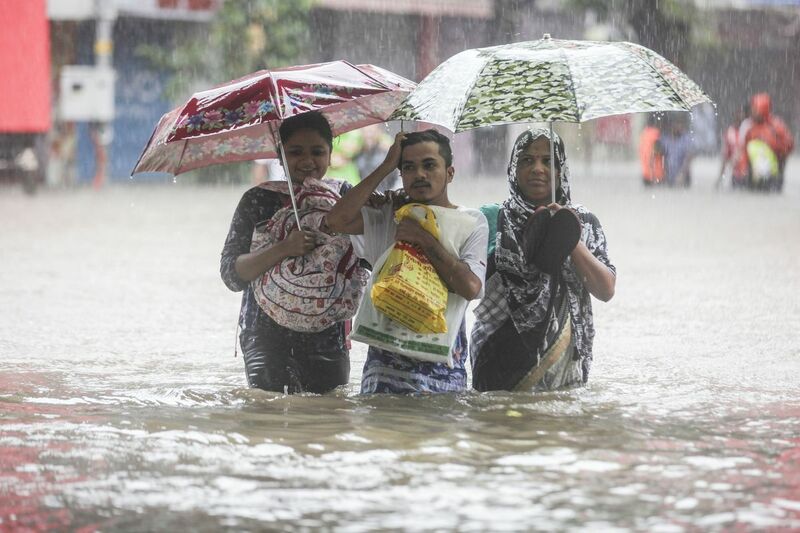 Unusually heavy monsoon rains over the last several weeks have killed over 1,000 people across India, Nepal, and Bangladesh. 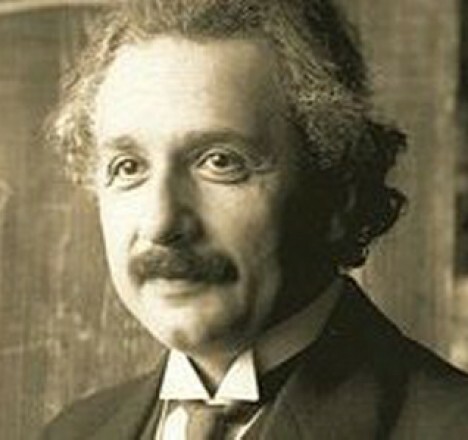 In all, over 41 million people have suffered the direct impact of the rain. Already deeply impoverished rural communities have been devastated as landslides and rising waters have taken away homes — as well as people. 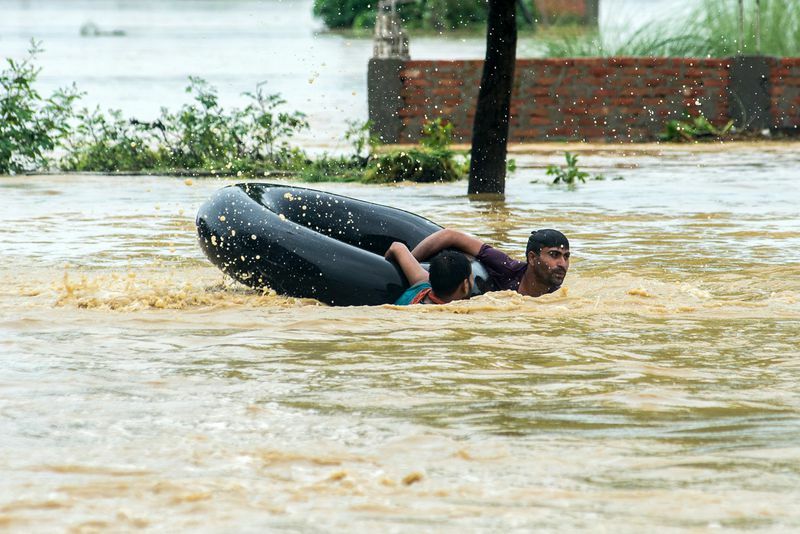 In Nepal, villagers traveled on makeshift rafts to escape rising waters, and elephants were used to help rescue trapped tourists and residents. 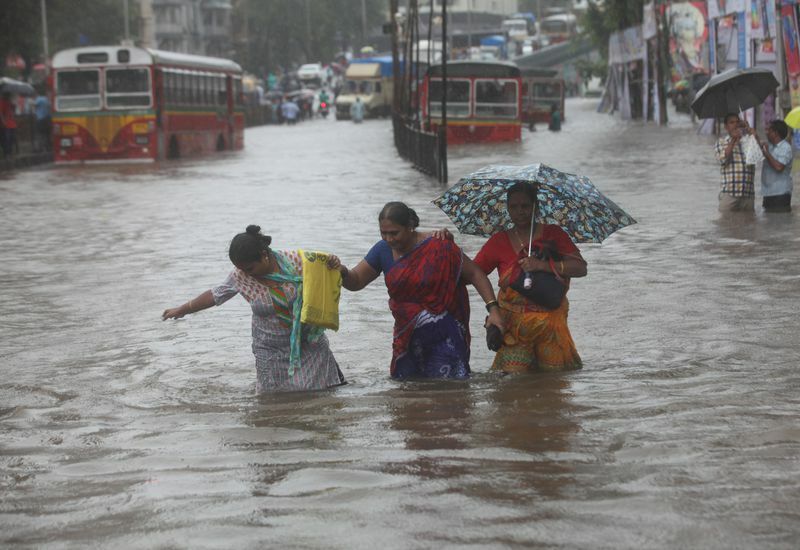 The most recent city hit is Mumbai, India’s financial center, parts of which are under several feet of water. On Tuesday, traffic in parts of the city came to a near total halt, schools were closed, and the city’s largest hospital was partially flooded. These images from the scenes of the flooding give you a sense of the scale of the catastrophe across the region. Indians wade along a flooded street during heavy rain in Mumbai, India on August 29, 2017. Indians wade through a flooded street during heavy rain showers in Mumbai on August 29, 2017. Nepali residents swim with a rubber ring in a flooded area in the Birgunj Parsa district, some 200km south of Kathmandu, on August 13, 2017. 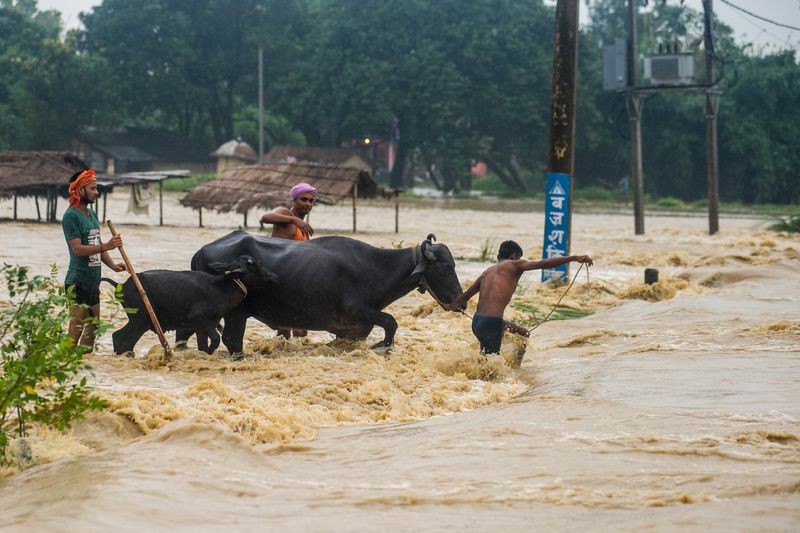 Nepali residents move their buffalos across a flooded area at Birgunj Parsa district, some 200km south of Kathmandu, on August 13, 2017.